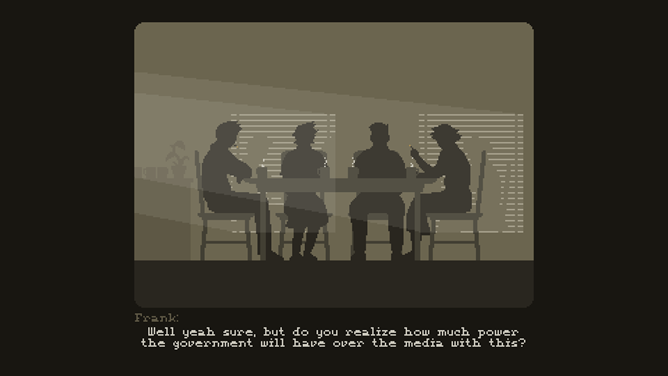 In this game you are the editor of the eponymous newspaper, which is in a fictional country that has just given its government the power to "enhance" the news. While you could technically call The Westport Independent a management sim, since you manage a team of journalists and select which pieces to run and what headlines to pair them with, that's only half the story. 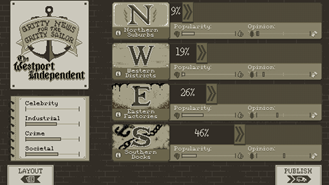 The real challenge, and no small amount of intrigue, comes from gauging the fictional world in which the paper resides. 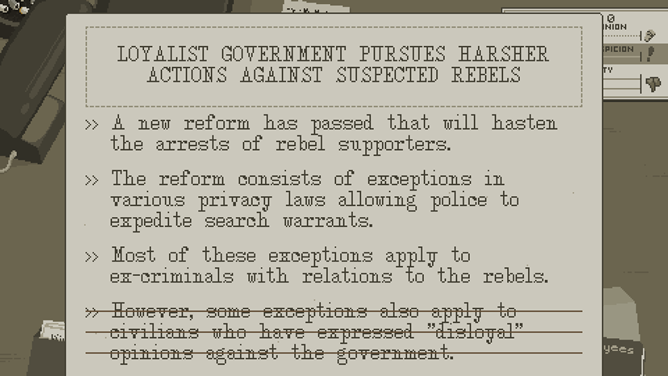 You'll have to carefully monitor how bold the government is willing to be in its overt control of your newspaper, how much support the violent rebellion is gaining, and how far you can push your journalistic ethics before you get shut down and "disappeared." The Westport Independent is particularly interesting to me, since I'm a part of the profession it's attempting to comment on. Don't get me wrong, I hold no illusions about the importance of technology media when compared to the Cold War-era fourth estate that the game is portraying (read: basically none). But given the oppressive censorship that still exists in places around the world, it doesn't hurt to recognize the importance of journalists in every area being allowed to say what's going on without fear of legal reprisal from those in power. The game's pixelated graphics won't blow you away, and calling the gameplay "fun" might be missing the point - it's designed to stress you out, as you try to toe the line between barely-responsible reporting and having enough money coming in to keep you and your employees fed. Fans of This War of Mine will feel right at home. 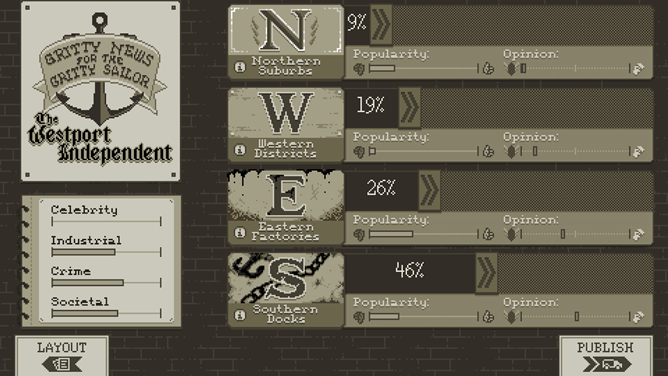 The Westport Independent is $5 on the Play Store with no ads or in-app purchases, but if you'd like to play it elsewhere, it will soon be available on iOS, Windows, Mac, and Linux. Unfortunately it's not compatible with Android TV. 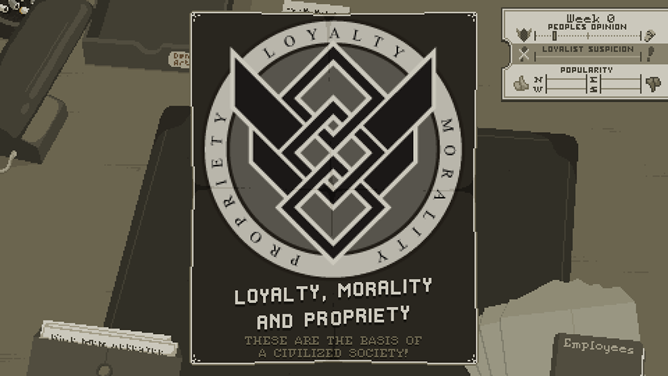 This story originally stated that Double Zero One Zero developed a similar fame called Papers Please. 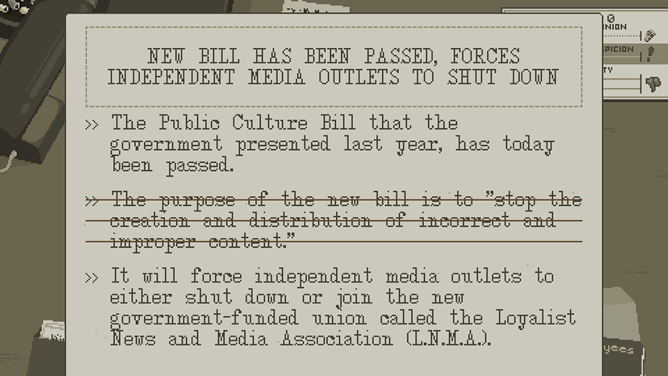 That is incorrect - the developer of Papers Please is Lucas Pope. Apologies for the confusion.